Reserve Bank of India said on Wednesday that banks will witness a further deterioration in their non-performing assets (NPAs) or bad loans due to the "economic situation prevailing" in the current fiscal. As per RBI's Annual Report 2017-18, gross non-performing assets (GNPAs) plus restructured standard advances in the banking system remained elevated at 12.1 per cent of gross advances at end-March 2018. The combined impact of the increase in provisioning against NPAs and mark-to-market (MTM) treasury losses on account of the hardening of yields eroded the profitability of banks, resulting in net losses, it said. In a pre-emptive response, it said, the RBI allowed banks to spread their MTM losses over four quarters starting from third quarter. "Going forward, the stress tests carried out by the Reserve Bank suggest that under the baseline assumption of the current economic situation prevailing, the GNPA ratio of scheduled commercial banks (SCBs) may increase further in 2018-19," it said. The aggregate gross NPAs of SCBs increased primarily as a result of this transparent recognition of stressed assets as NPAs, from Rs 3,23,464 trillion , as on March 31, 2015, to Rs 10,35,528 trillion, as on March 31, 2018. With deterioration in asset quality and the progressive implementation of Basel III warranting higher buffers, troubled public sector banks (PSBs) received capital infusions via the issuance of recapitalisation bonds and budgetary support. "The Reserve Bank's revised prompt corrective action (PCA) framework became effective in April 2017. Eleven PSBs placed under this framework so far have been restricted in their operations and subjected to remedial action plan so as to prevent further capital erosion," it said. In order to curb NPAs, RBI also put in place revised and harmonised guidelines for resolution of stressed assets during the year, replacing earlier schemes like Sustainable Structuring of Stressed Assets (S4A scheme), Strategic Debt Restructuring scheme (SDR), Corporate Debt Restructuring (CDR) scheme and Joint Lenders' Forum (JLF). "Final guidelines relating to the net stable funding ratio (NSFR) were also issued in May 2018 to prepare the ground for banks to build durable buffers against potential liquidity disruptions," it said. 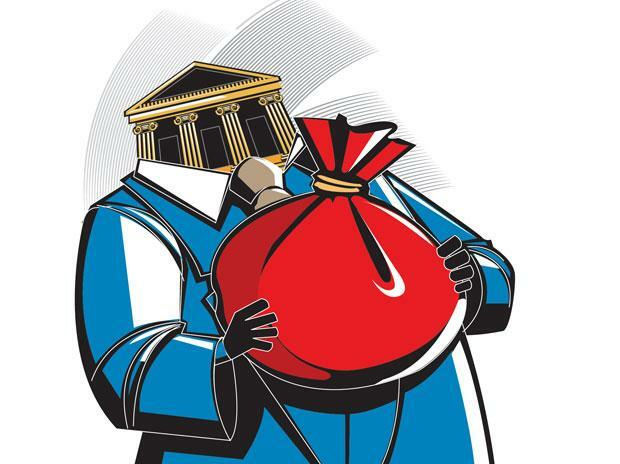 A Parliamentary committee recently questioned RBI for failing to take preemptive action in checking bad loans in the banking system prior to the Asset Quality Review undertaken in December 2015. According to sources familiar with the report of the Standing Committee on Finance, RBI needs to find out as to why the early signals of stressed accounts were not captured before the AQR. The report was adopted by the Committee headed by senior Congress leader M Veerappa Moily today and is likely to be placed in the Parliament in the Winter Session. The panel, which includes former prime minister Manmohan Singh as a member, wanted to know the reasons of ever-greening of stressed accounts through restructuring schemes of the RBI. The issue of rising NPAs is a legacy issue and role of RBI has not been up to the mark, sources said. NPAs in public sector banks (PSBs) increased by about Rs 6.2 trillion between March 2015 and March 2018. This led to substantial provisioning of Rs 5.1 trillion, sources said quoting the report.